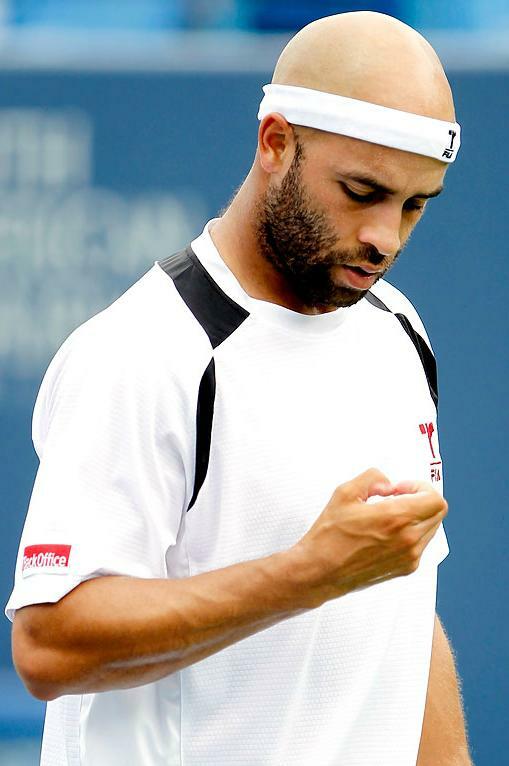 James Blake, USA during second round Winston-Salem Open loss. Former World No. 4 Blake had come into the second-round match with a 7-0 record in Winston-Salem, inclusive of six Davis Cup matches. Haase, currently at a career-high No. 42 in the South African Airways 2011 ATP Rankings, extended his winning streak to six matches in his first tournament since claiming the Kitzbühel title earlier this month. For Blake, it was his first loss ever in Winston-Salem. He was a perfect 6-0 in Davis Cup ties here and won his first-round match against Mikhail Kukushkin 7-5, 6-1 on Sunday night. 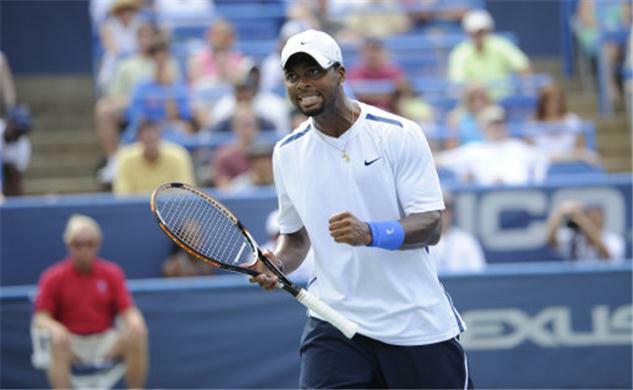 The 31-year-old New Yorker called it his worst performance of the summer hardcourt season. "As I get to this age, I try to have a short memory about matches like that," Blake said. "It was just one of those days. Nothing seemed to be going right, wasn’t serving well, wasn’t returning well, just nothing was effective. It’s frustrating because the first round I thought I played pretty well, especially in the second set. I thought I was getting momentum and playing well. But that’s the worst match I’ve played all summer. It’s frustrating that it’s right before the Open, but the Open doesn’t start until next Monday so I’ve got some time to get on a practice court and get my confidence back hopefully." Blake said he was disappointed not only for himself, but for the crowd that was clearly on his side. "It’s a lot of fun to play in front of a crowd that’s cheering for you," Blake said. "It’s frustrating when you can’t come through for them. That’s the tough part of tennis. You feel great when you succeed in front of a home crowd and give them what they want, and it’s frustrating when you can’t. That’s what I’ve learned through the years. It’s a lot tougher to take when you feel like you’re letting others down. But they’ll get over it. They’ve still got Andy Roddick and John Isner to watch." Fifty-second ranked Bulgarian Grigor Dimitrov came back after losing a one-sided second set to defeat World No. 85 American Donald Young in three sets 6-4, 2-6, 7-6(2) in the second round at the Winston-Salem Open in North Carolina on Tuesday. The match lasted for two hours and three minutes.